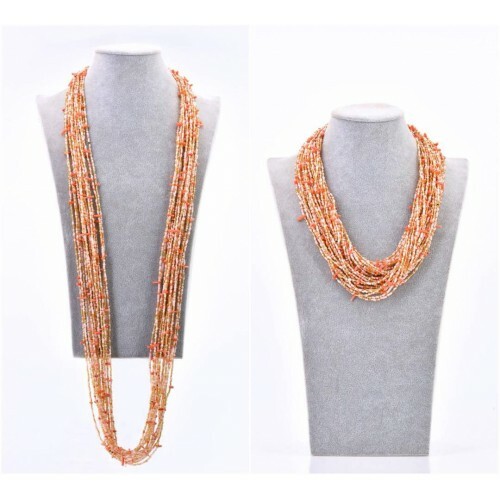 MIX OF SEED BEAD AND CHIP CORAL ..
43" seed bead necklace with gemstone tassel-ends. 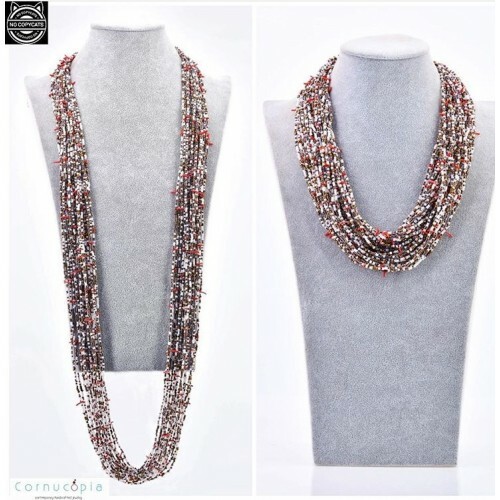 Play around with this piece and wear the way you wish. 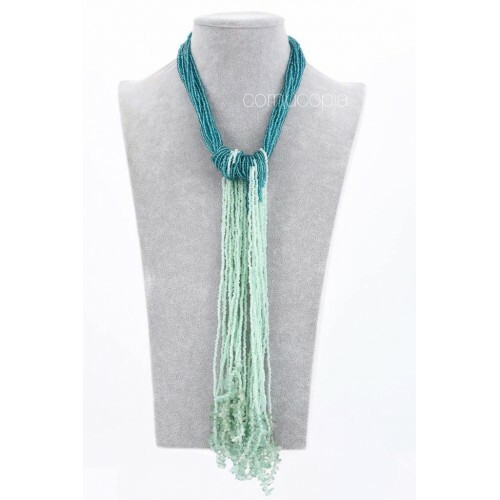 Can be left hanging loose, can be worn lariat-style , tied loosely or you come up with how you wish to wear. Available in other colours. ..